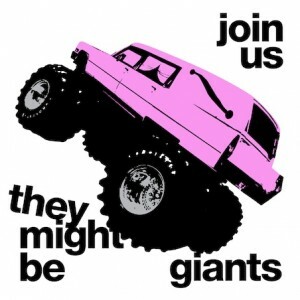 After a foray into children’s music (and four years removed since their last “adult” album, 2007’s Dust Brothers collaboration The Else), celebrated and eternally arch nerd-rock duo They Might Be Giants return with Join Us. Throughout eighteen tracks, the duo of John Flansburgh and John Linnell shoot out every warped-pop idea that come to their heads (as usual): sardonic musings on death (“When Will You Die”, “Old Pine Box”), playful and witty love songs (“Never Knew Love”), and enthusiastic, if misshapen sing-along (“Canajohorie”). Throughout it all, the same melodic sophistication—which was always the Johns’ secret weapon, in addition to their keen and wry outlook as both lyricists and melodicists—serves them well here. Their recent playing outside the box is evident here: even at their weakest (the dated Beck-isms of “The Lady and the Tiger”, the cheesy “You Don’t Like Me”), the feeling that they’re stretching themselves is clear. Recorded with Patrick Dillett, who helmed 1996’s Factory Showroom as well as 2008’s Here Come the 123s, some tracks here rank with the Johns’ best: sunny and vibrant “Can’t Keep Johnny Down” and indie-rock love letter “Celebration” prove that their random and loose aesthetic still results in quality tunes.